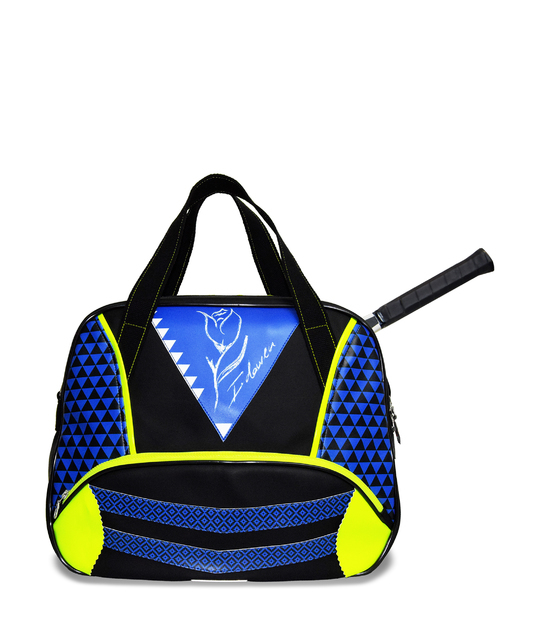 Exclusive backpack/bag will not leave anyone indifferent. 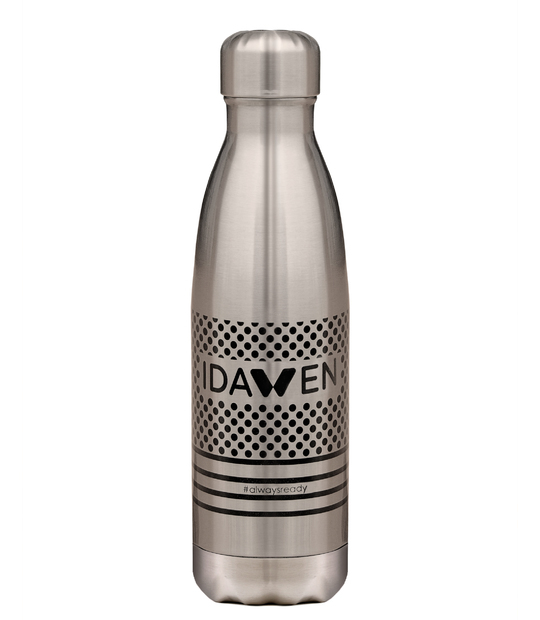 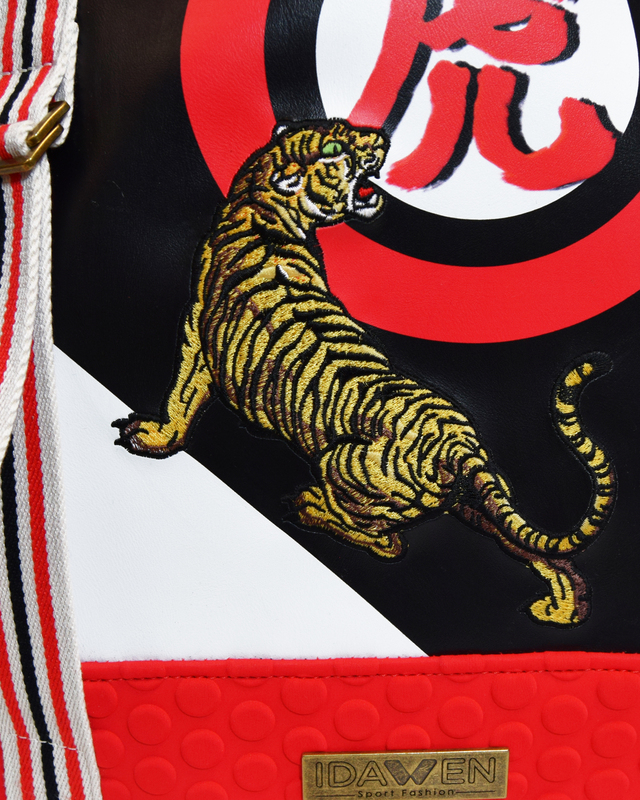 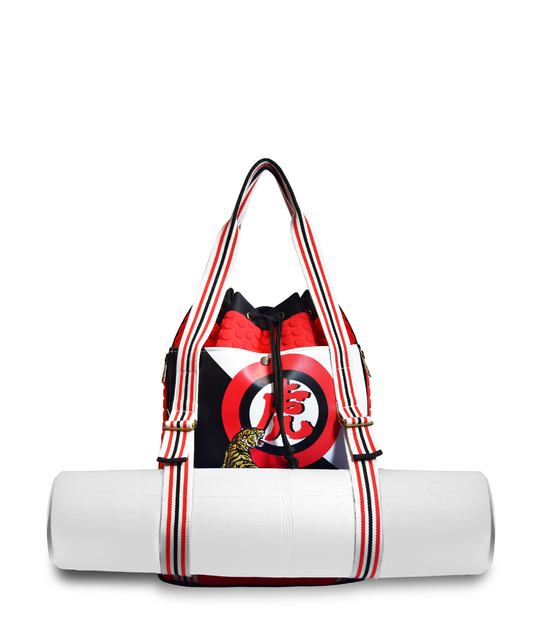 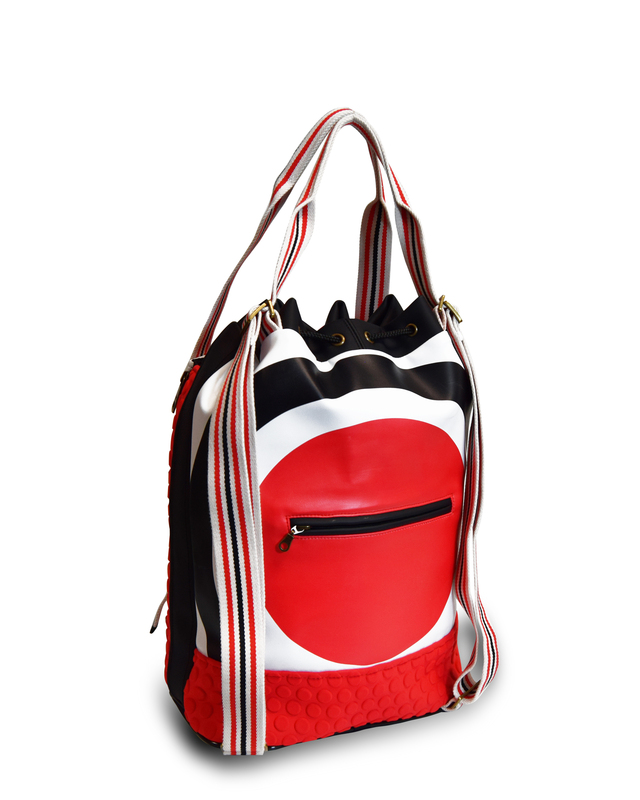 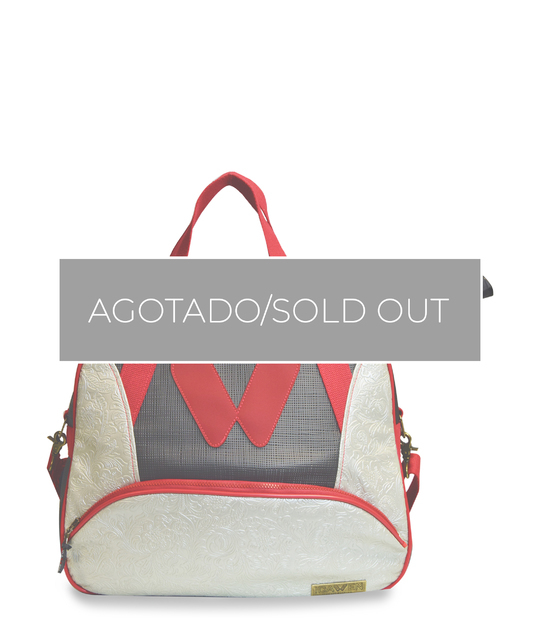 Ready-made with very special fabrics, like bubble neoprene, silk rubber, digitallly printed vegan leather and a incredible embroidery in the bag front. 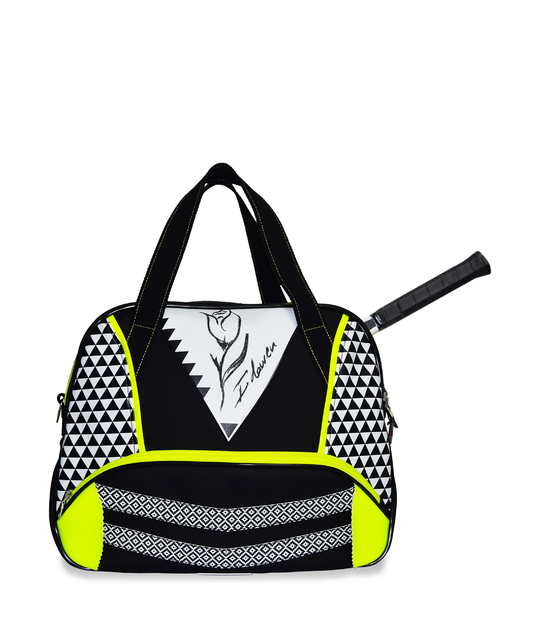 Cotton handles, with a nice and softy touch, while resistant. 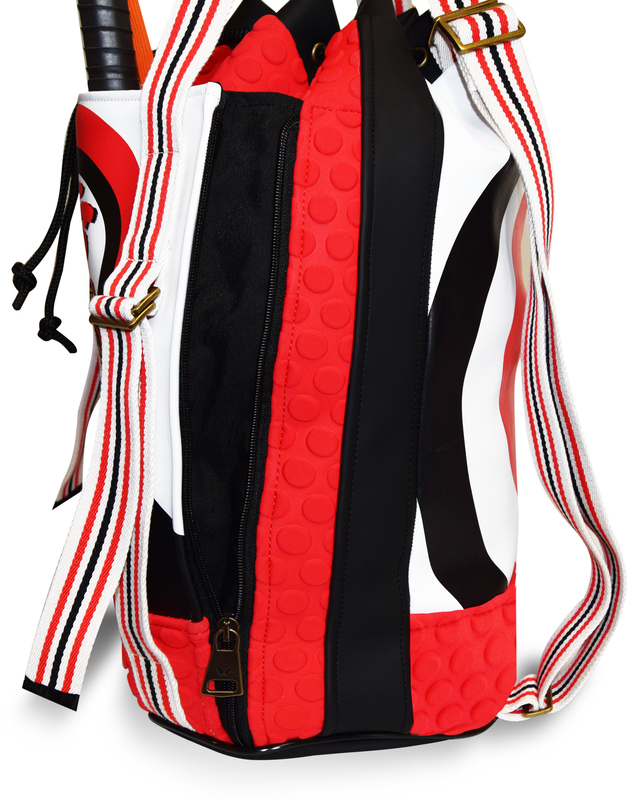 You can carry your racket in its front pocket, completely lined with foam, to protect the racket. 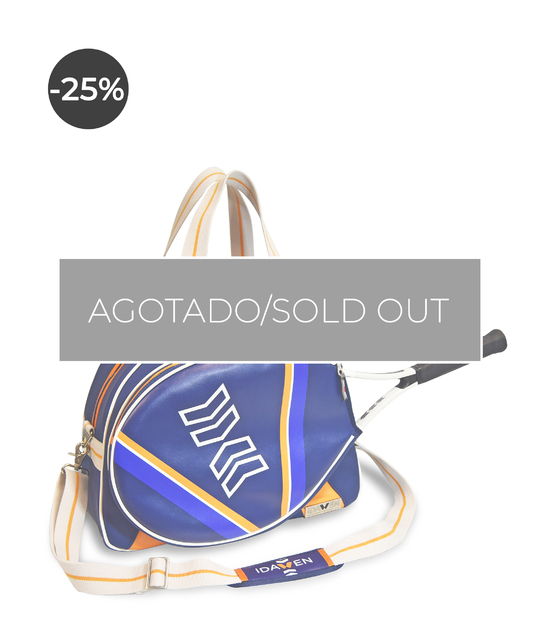 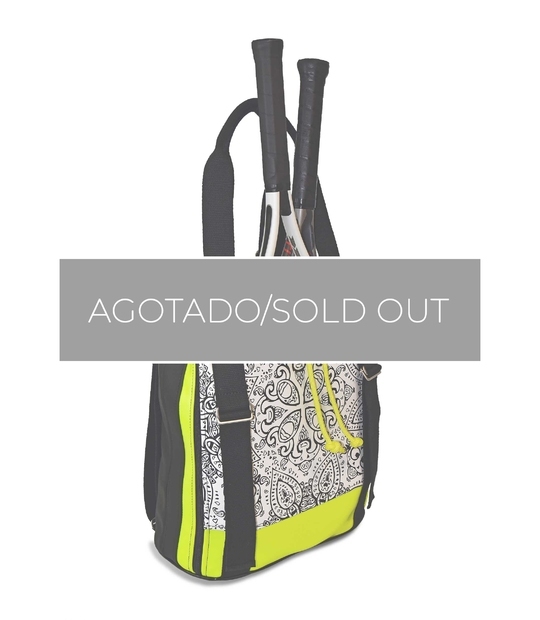 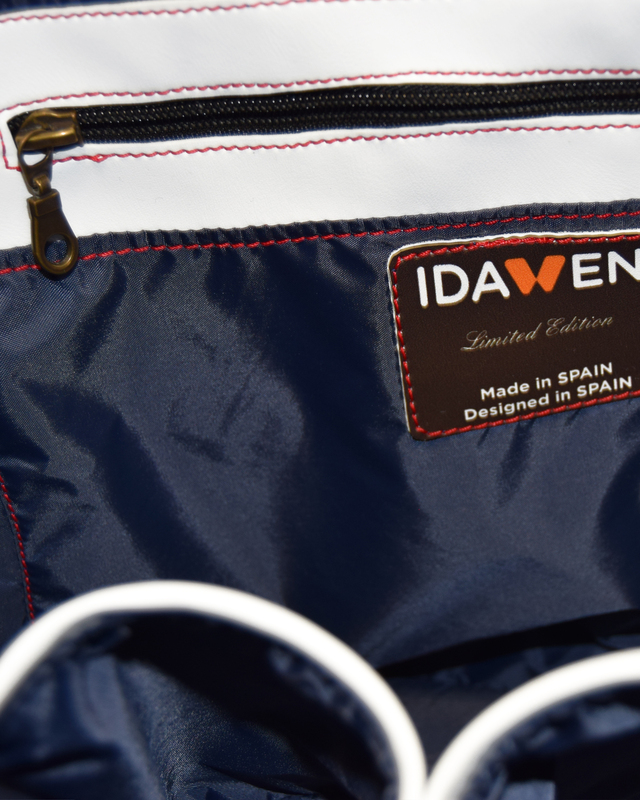 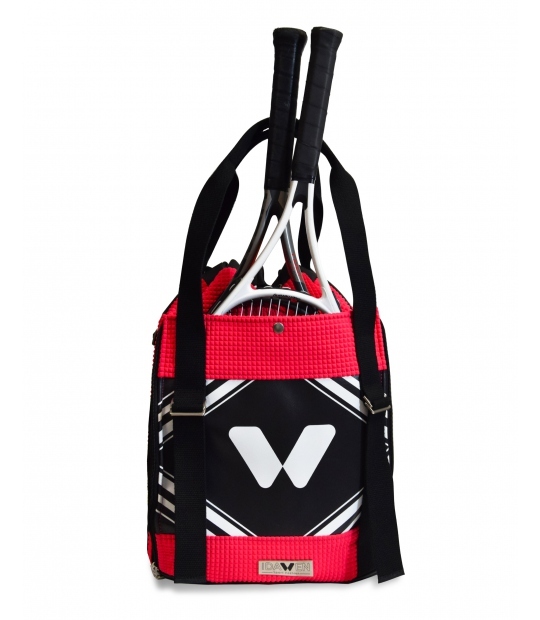 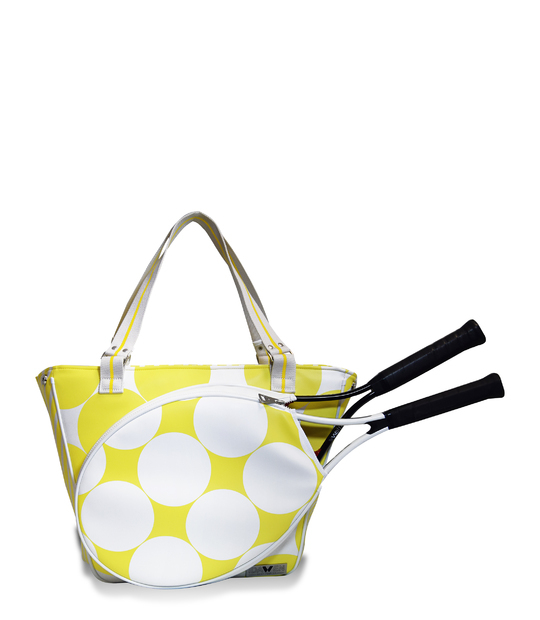 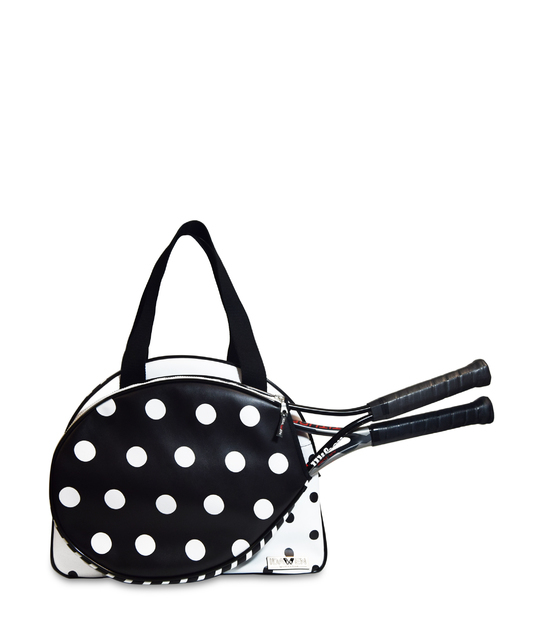 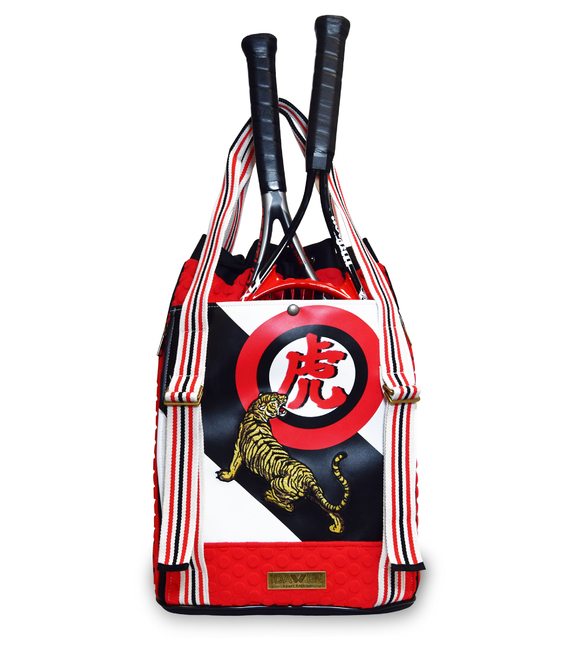 And, if you are one of those who carry two rackets, this bag is perfect for you, since it have two sides opening, that when opened, provided an extra space to keep hold and comfortably two rackets. 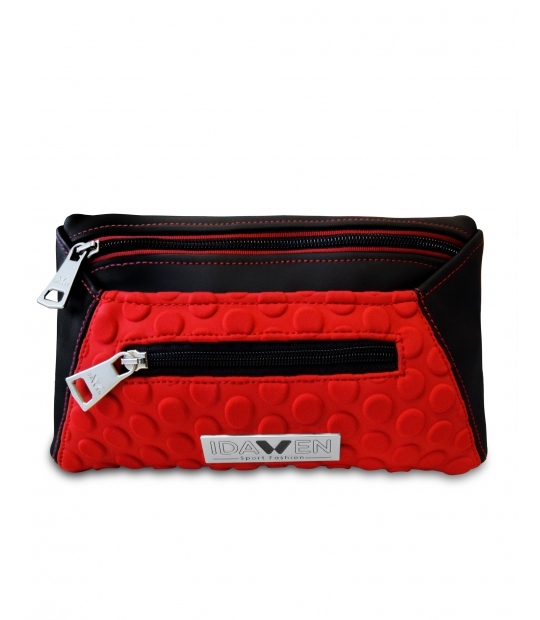 Inside, tha bag have a double pockets fot bottle os phone and other with zipper for your more personal stuffs. 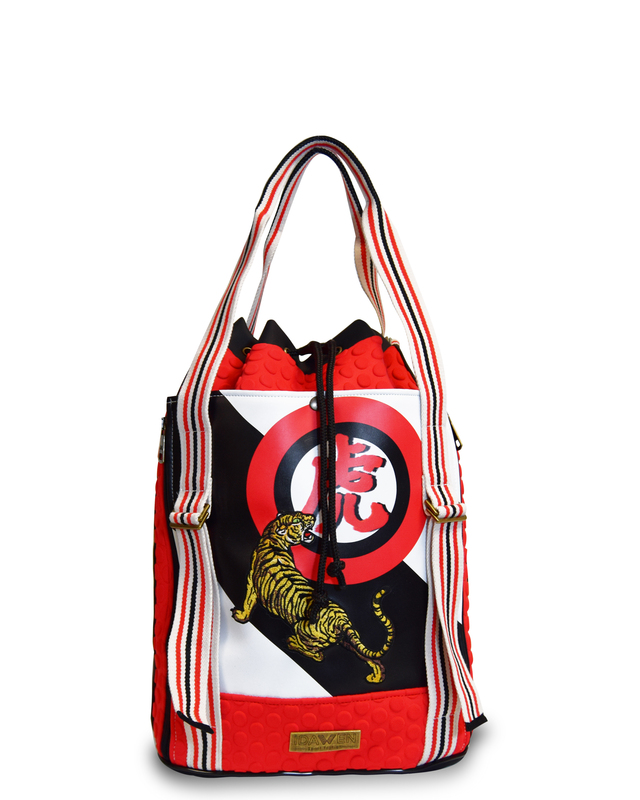 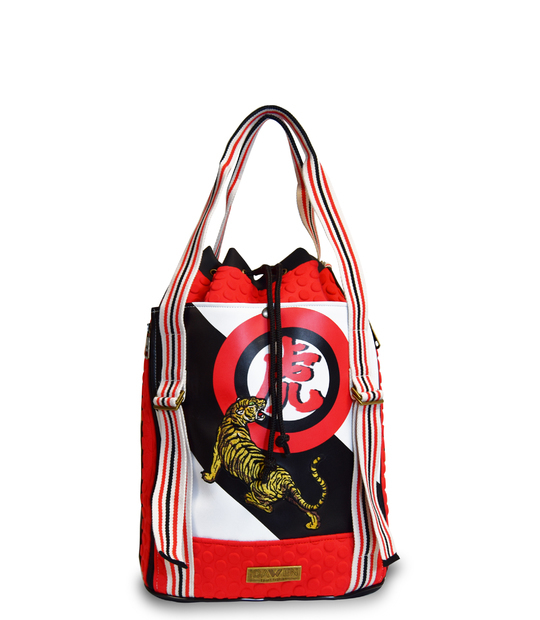 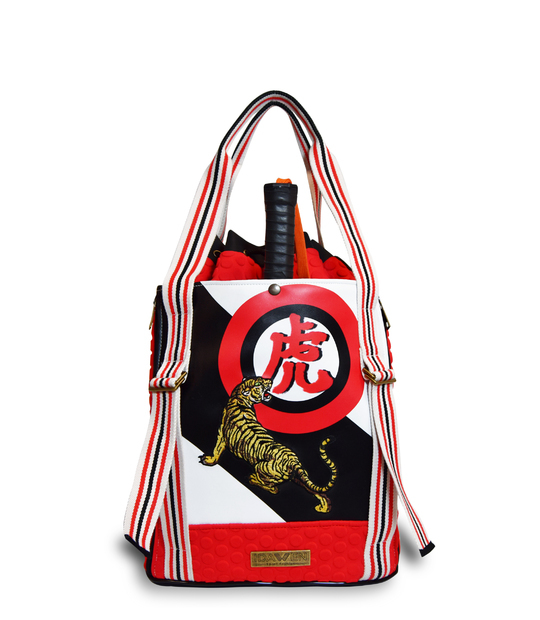 Sac Japan is a bag to enoy, take advantage of all its benefitss and shine like nobody the oriental inspiration in the court.